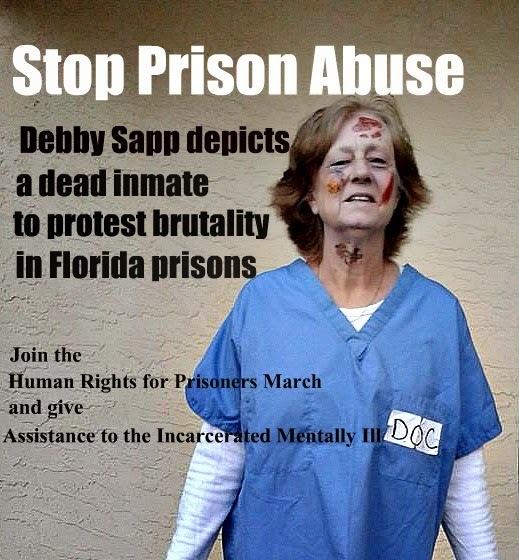 Dog Justice for Mentally Ill: Debby Sapp pleads "Stop FL Prison Abuse"
Debby Sapp pleads "Stop FL Prison Abuse"
I’m writing in hopes that you can help John R. Wolf stay out of serious and life-threatening situations in Florida prison system. His family believes he deserves release under an assisted outpatient treatment (AOT) program. Please investigate this and give it your highest priority. We really need an advocate to help us protect him. My son has filed numerous grievances about property theft and inmate abuse at Suwannee and Dade, and guards retaliated against him. With so many mentally ill prisoners in Florida being catastrophically injured and killed, we are fearful for his life and well being. On April 1, 2013, John was beaten mercilessly by the guards while in handcuffs, and in an unmonitored area of the Suwannee prison. John suffered severe contusions and was given stitches. There’s reportedly a VIDEO of him going into that dark area with the prison guards in good shape, then coming out of that dark area bruised and bleeding (he required multiple stitches on his face). It was eleven days before the prison took pictures of John's injuries, giving bruises time to heal somewhat. The offending officers claimed they didn’t know he had plates, rods, pins and screws in his neck because it’s “not in his profile”. He’s been treated for all of it, so why isn’t it in his profile? John has documentation proving that even the doctors are reluctant to help because they don’t want to risk exposing a “cover-up” showing that John’s records have been maliciously altered. And, the guards passed a false rumor to the inmates that he’s a “white supremacist”! But, I can only imagine how that made the mostly black population of the prison feel about him. This put him in an extremely dangerous situation. THERE IS A WITNESS who was also in confinement during John’s beating and sent a sworn letter to John’s mother, dated 5/21/13, stating that the guards told him that “John is a white supremacist” and that “he should beat him up good”. Ironically, two days after the inmate sent me the letter, he was transferred. Maybe they didn’t want the two of them joining forces? Again, a “cover-up”! Shortly after that, John attempted suicide at Suwanee and has since been moved to Baker, Charlotte, Dade, Lake CI, back to Butler, then to Columbia CI where he was beaten, then to Jefferson CI, and now in Central Florida Reception Center in Orlando. John was never a violent offender. 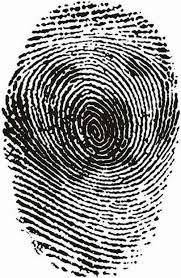 He did not commit crimes with a weapon or make threats to anybody, yet he received a sentence worse than some MURDERS! Think about it. I’ve seen some murderers get sentenced for five years or even less. I’ve seen ARMED ROBBERY criminals get sentenced to three years. A husband beat his wife and landed her in a “coma” and was sentenced to 2.5 years! Yet John, who was nonviolent and committed property crimes, received 15 years under a plea deal. John stole some things while people weren’t home – He wasn’t armed and he didn’t ever threaten anybody. YES , that was wrong, but John was overly sentenced. The way he was being treated in Suwannee was destroying him and could have gotten him killed. Isn’t one of the main goals of prisons to “rehabilitate people” and get them back into the world as properly functioning members of society? His parents want to fight this, but they can’t afford a lawyer, so they’ve called everybody they can think of, but nobody seems to be willing to help. NOBODY wants to get involved. If they had had the money for a lawyer, John probably would have gotten time behind bars, but DEFINITELY not 15 years! I sincerely believe this was an unjust sentence and that he should be released or his sentence reduced. Why is everybody in power so afraid of challenging the people who run the prisons? Why do they feel so threatened to entertain the idea of fixing this? John obediently took the plea and ended up with 15 YEARS, with NO chance of parole! And, we’re not sure that he’ll even come home when his time is up, because the system is so corrupt that we fear they’ll put up infinite roadblocks. That’s one of the reasons he tried to kill himself – He sees no end in sight. John needs proper mental health care for his bipolar disorder. John was first diagnosed as having mental illness at age 3 while we lived in Delaware. John was a special ed student since age 9. He was admitted to Terry Children's Psychiatric Center because of his aggressive and disruptive behavior. Two years later, John was doing well at school and on weekend visits and was released. Outpatient therapy continued. He did well for a while, then had trouble. He was admitted to Marine Bay Institute. John was in and out of different psychiatric facilities and programs for most of his life. With the help of Rangle Hill Treatment Facility, John was finally stabilized on Lithium and was able to maintain himself without hospitalization for a period of four years. John was even able to be self-sufficient throughout those years. He worked with a lawn care service, and he worked in an entertainment venue at night. Unfortunately, John was falsely accused of a crime and was incarcerated. The charges were eventually dismissed. However, during John's incarceration for six months, he was deprived of his psychiatric medication. This completely destabilized John, and he has never recovered. Unfortunately, John attempted to self-medicate with illegal drugs and pain medication. Now that he is sober, he is seeing his faults and errors and would like a chance to prove that he can do better. He has said that he wants to help others who are making the same mistakes. Please respond and give us some direction. We’ve run out of resources. Thank You Very Much for ANY Time and Effort you can put into this! Any help you can give us would be appreciated, and any suggestions would be welcome. It would be illegal to keep a dog in a tight space 23 hours a day and gas or Taser him for barking. It would be illegal to put a dog in deadly restraint for control. That happens to mentally ill people routinely in the nation's correctional facilities. What happened to Larry Neal? Why are we still asking that question after eleven years? Mentally Ill Americans Need Dog Justice. Treat mental illness medically, not legally. Support the H.R. 3717 "Helping Families in Mental Health Crisis Act." "Family Visitation Providers" Providing private and group transportation services to incarcerated love ones throughout the state of Florida. We are diligently working to bring you more routes and the best rates to help you stay connected to your incarcerated loved ones. We need your help! Please help us by spreading the word to other families! All prison trips requested will be added to our monthly schedule.